1. Before starting school, every child should have a comprehensive eye exam, including near-point (computer and reading) and distance testing. 2. Workstations should be arranged to suit a child — not an adult. 3. The recommended distance between the monitor and the eye for children is 18-28 inches. By viewing the computer screen closer than 18 inches, children risk straining their eyes. 4. Parents and teachers should be aware of any behavior that indicates potential problems, such as eye redness, frequent rubbing of the eyes, head turns and other unusual postures, or complaints of blurriness or eye fatigue. Avoidance of the computer may also be an indication of discomfort. The World's First Photograph, originally uploaded by Jeevan_. 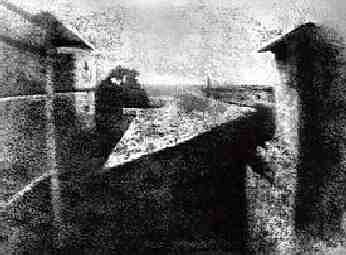 One summer day in France in 1826, Joseph Niepce took the world's first photograph. It's a photo of some farm buildings and the sky. It took an exposure time of 8 hours. · 90% of school-age children have computer access at home or in school. · 54 million children in the United States alone use a computer at home or in school. · 25% to 30% of computer-using children need corrective eyewear to work comfortably and safely at the computer at home or in school, says a study at the University of California at Berkeley School of Optometry. · The percentage of first-graders with myopia has increased from 12.1% to 20.4% since 1995, according to a study by the Department of Health in Taiwan. · A similar study in Singapore found that in three years the percentage of seven- to nine-year-olds with myopia had doubled, to 34%. Sitting for hours in front of a computer screen stresses a child's eyes because the computer forces the child's vision system to focus and strain a lot more than any other task. Twenty years ago, most children played outside, and their distant vision was more important. Today, most children work at a computer either at home or school each day. Sitting in front of a computer and staring at a computer screen is causing vision problems that were not known years ago. Today it is a "near-point world," and parents need to be aware of the vision problems associated with computer work. Computer use demands fine motor skills from young eyes that are not well developed. Only when the visual system matures is a child better able to handle the stress of a computer on that system. · Children have a limited degree of self-awareness. They may perform a task on the computer for hours with few breaks. This prolonged activity can cause eye focusing and eye strain problems. · Children are very adaptable. They assume that what they see and how they see is normal — even if their vision is problematic. That's why it is important for parents to monitor the time a child spends working at a computer. · Children are smaller than adults. Since computer workstations are often arranged for adult use, this can change the viewing angle for children. Computer users should view the screen slightly downward, at a 15-degree angle. Furthermore, as a result of difficulty reaching the keyboard or placing their feet on the floor, a child may experience neck, shoulder and/or back pain. Dr. Peter Butler Tell about Face transplantation. Peter Butler of the Royal Free Hospital in London said that face transplantation will be the only effective way of treating some severely disfigured patients, such as those who have suffered extensive burns or facial cancer. But his own survey of 120 people including nurses and doctors revealed that while some would be willing to receive a face transplant, none would be prepared to donate their own face. Butler hopes that if full details of the procedure and its medical need are made clear, potential donors might be able to overcome their initial revulsion. The recipient would not look like the donor, Butler stresses. Martin Evison, an expert in forensic facial reconstruction at the University of Sheffield, UK, agrees. "The musculature of a face is particular to a skull as it develops. Muscles in the face of one person would have to be re-sculpted if they were to be transplanted onto another skull - and the face would not look the same," he says. A face transplant would involve removing the face, facial muscles and subcutaneous fat from the recipient. The donor face from a recently dead person, complete with lips, chin, ears, nose, eight major blood vessels and even some bone, would then be grafted into place. The loss of facial tissue is a devastating injury, Butler says. Skin from other parts of the patient's body can be transplanted, but he or she cannot move this skin, creating a mask-like effect. Encouraging the regeneration of cut facial nerves in the recipient - essential for movement and sensation - will be key to a transplant's success. This will not be easy or immediate, but recently developed growth factors and even immunosuppressants will speed the process, says Butler. In the past, skin's particularly potent ability to stimulate the immune system if grafted from one person to another had been a barrier to attempting face transplantation. But new immunosuppressants have permitted successful hand transplants, for example. And Butler thinks advances in microsurgery over the past few years now make the procedure technically possible. He says he plans to conduct anatomical experiments over the next six months to demonstrate the feasibility of a transplant. The idea of taking off a dead person's face and putting it on someone else appears to have come straight out of science fiction, Butler wrote in a commentary in the Lancet in July. But if face transplantation is shown to be the only effective way of treating severely disfigured patients, then doctors would have a duty to use the technique, he concluded. Only one parts is balance in our body to transplant, it’s the Brain. Face transplants will be technically possible, now the public must decide whether the procedure is ethically acceptable, says a leading UK plastic surgeon. Every generation needs achievers to light up the path, to inspire youth into thinking big and in the process lift the spirits of an entire nation. Pankaj Advani may have arrived, as if on cue, to become that face in the crowd in 2003 by winning the International Billiards and Snooker Federation's World Amateur Snooker Championship at Jiangmen, China. He emulated the late Om Agrawal's 1984 achievement, though there is a buzz about India's second World beater because not only is he 18 and successful, but also capable of making a dramatic impact on the world stage. "So many achievers have done so much. I have a long way to go,'' said the champion, the humility coming through even when talking about his astounding achievement. Pankaj Advani born on July 24, 1985 in Banglore India. Already hailed as a `prodigy' by peers for winning the 2002 senior National snooker title at 17, Advani is only justifying the promise displayed in the 2001 World under-21 snooker at Latvia when he finished third. Snooker is a high stakes, high profile sport in the pro ranks, tailored for television and offering enough scope for exciting young achievers. "The World title has made my attitude more focussed. Now I have to look at bigger things from here on, at the same time look at the tournaments that have to be won,'' said Advani, in a chat during an invitation doubles snooker event at the Bombay Gymkhana. Snooker's youngest amateur sensation already has the professional World crown in his sights, looking at it as a long-term goal and is already prepared to work towards a cherished dream, starting with a stint at the London-based International Snooker Academy. Coached by former World number four Arvind Savur for almost a decade at Bangalore, the B.Com student of Jain College made his mentor proud with forceful, ruthless play at the 2003 Worlds, culminating in a 11-6 victory over Saleh Mohammed of Pakistan for the title, becoming India's only World champion in this eventful year. The newly crowned IBSF World Snooker Champion got his bid for the 'double' off to a flying start with a 3-0 win over England's John Hartley as the first of the group matches got under way in Hyderabad. Ais, originally uploaded by Jeevan_. Aishwarya Rai was born on 1st Nov 1973 in Mangalore, Karnataka, India. She was younger of the two siblings, her brother being 3 yrs elder. When she was about 4 years old her family moved to Bombay permanently. The celestial beauty Aishwarya, won Miss World Title at Sun City in 1994 and has since then become the hottest property of Bollywood. Her stupendous success as Miss World was followed by an equally matchless accomplishments in the film world. Aishwarya, who came into Bollywood by default, as she was flooded with offers after being crowned in Sun City, has now become the undisputed monarch of the tinsel territory. Buoyed by her success she is now looking westwards. Soon she will be appearing in ‘Bride and Prejudice’ a re-working of the Jane Austin classic opposite actor Martin Henderson (The Ring), directed by Gurinder Chadha (Bend It Like Beckham). How this movie fares at the box office remains to be seen but it has definitely given a fillip to her career as she has got many offers from the Hollywood. She did her matriculation from Arya Vidya Mandir and later joined Jai Hind College. She did her twelfth standard from Ruparel College. Aishwarya had initially wanted to become an architect. She was into studying contours of buildings at the Rachna College, when destiny willed otherwise and she landed in South Africa, for the Miss World contest where the contours of body mattered more. After her crowning as the most beautiful woman on the planet, she has soared height after height. Films came as a natural choice for this model turned actress and she has done over a score of Hindi Films till date quite a number of them being blockbusters. The most famous one being Sanjay Leela Bhansali’s musical melodrama Devdas. Devdas became the first Hindi Commercial Film to be screened at Cannes Film festival. This year incidentally she earned the distinction of being the first Indian Actress on the jury of the same festival. Her first film was Mani Ratnam’s Iruvar (Tamil), in which she played a rather diminutive role but she could captivate the audience by her dance performance and in depth acting. With duds like ‘Aur Pyaar Ho Gaya’ and ‘Jeans’ (Tamil), when everybody had almost written her off till she bounced back with a stunning performance in ‘Hum Dil De Chuke Sanam’. ‘Taal’ set her on equal footing with the reigning Goddess Madhuri Dixit. Beautiful blue eyes to an Eye Bank and endorsing it on national television, Ash was once again showered by publicity for her philanthropic gesture. Since her entrance into the Indian film industry in 1995, she has been signed by best directors, in films with lavish budgets, opposite leading stars and is today the superstar of the Indian film industry. Aishwarya Rai - an original, is treading very well in her transition from beauty queen to screen queen while moving into further limelight. Recently Aishwarya Rai has been invited to kick-start a campaign of immunization against polio in Pakistan. He is the first Indian Actress to kick-start a campaign in Pakistan. Best of Luck Ash. Virender Sehwag is an Indian cricketer (batsman) and member of the Indian national cricket team since 1998 (one-dayers) and 2001 (Tests). He was giving the vice-captaincy of the Indian team on July 18, 2005. He born on October 20, 1978, in Delhi. He is a right-handed batsman. He is often compared to Sachin Tendulkar in his early days due to the similar batting style. He has scored over 3,000 ODI runs at a strike rate of 95.78 runs per 100 balls which makes him one of the fastest batsmen in the world. He has also scored over 5,000 runs in first-class cricket at an average of more than 50 with 18 first class centuries. In ODI cricket, he is known for his aggressive, dazzling batting style, and does not hesitate to play unorthodox shots. He is at his element in the first 15 overs of the one-day game, dispatching the ball to the fence with ease and panache. It has been noted that his technique is very similar to Sachin Tendulkar, with whom he forms a most dangerous and equally entertaining opening pair. Sehwag is also a useful spin bowler. Sehwag has adapted to both the forms of the game. In the longer version of the game, he plays to ensure that he does not lose his wicket quickly although he scores at a rapid rate. On March 29, 2004 he became the first ever Indian batsman and only the 4th Asian batsman to score 300 runs in a Test innings, playing against Pakistan at Multan. He scored a total 309 runs in that innings. Interestingly he reached the milestone with a six becoming the only batsman to reach a triple ton with a sixer. He later auctioned the bat with which he made the record, for Rs. 70,000, to aid in relief efforts for the tsunami victims of the 2004 Indian Ocean earthquake. Sehwag married Arti Alhawat in April, 2004 under heavy security in a media publicized wedding. Sehwag is fondly referred to in the media as the Prince of Najafgarh, Najafgarh being his home locality in Delhi. Maria Sharapova has recently gone to No.1 stage in Women’s Tennis. Maria Sharapova was born on April 19, 1987 in Nyagan, Russia. Six feet tall, muscular and blonde, Sharapova turned pro in 2001 at the young age of 14. The tennis prodigy and her father had moved from Russia to Florida when she was nine so that Sharapova could study at the tennis academy of Nick Bollettieri. Sharapova steadily worked her way up through the pro ranks, claiming her first WTA victory at the 2003 AIG Japan Open. In the year 2003 she was voted one of the "coolest girls" in America, Sharapova rapidly rises up the rankings. She makes her grand slam debut in the Australian Open and also qualifies for the French Open. Then, after reaching the semi-finals at Edgbaston, she progresses to the fourth round at Wimbledon, the best-ever performance by a female wild card. In 2004 Sharapova stunned the tennis world by defeating defending champion Serena Williams in the singles finals at Wimbledon to win the prestigious tournament at age 17. Sharapova's name is pronounced sha-ra-POH-vuh... She also has been called the Queen of Screams for her habit of grunting loudly while hitting the ball. According to the WTA Tour website, Sharapova Enjoys reading books in the Sherlock Holmes and Pippi Longstocking series. Maria Sharapova has become the first Russian to be the top-ranked player in women's tennis. The 18-year-old has replaced American Lindsay Daveport at the top of the WTA rankings, having won three tournaments this year. But many may view her rise to the top as a result of circumstance rather than her form this year, as the current injury to Davenport comes after fellow top players Kim Clijsters, Justine Henin-Hardenne and Serena Williams all had similar problems. That will matter little to the Siberia-born, US-raised Sharapova, however, who will now receive some comfort after seeing her Wimbledon title taken from her by Venus Williams, who beat her in the semi-final this year. The 18 year-old hot player is on the World’s eye. YWEEK, originally uploaded by Jeevan_. I have created a Magazine cover “YOUTH WEEK”. I had put my next days Plan, which are going to come on my blog. From Kollywood to Hollywood: Cover story of Aishwarya Rai on August 27, 2005. Tennis No.1 Sharapova: Maria Sharapova who has recently reached the No.1 place in Global Women’s Tennis. Wind of Cricket Sehwag: Details of Sehwag on August 26th 2005. Indian Snooker Pankaj Advani: Details of Snooker player Pankaj Advani on August 28, 2005. These Posts will be come on the day I have mentioned here. Soon I will create my one Magazine cover. World Snooker is the commercial arm of the World Professional Billiards & Snooker Association, the governing body of professional snooker. It is responsible for running and administrating snooker's professional circuit, including prestigious ranking tournaments such as the World Championship, UK Championship and the Grand Prix, as well as invitation events such as the Masters. As the owner of the sport's commercial rights, World Snooker also negotiates sponsorship for tournaments as well as television contracts. Snooker is one of the most popular sports in the United Kingdom and is played by over 4 million adults. It attracts vast television audiences; the 2005 World Championship final was watched by a peak figure of 7.8 million. The sport's popularity is also growing rapidly in many countries around the globe. In 2004, World Snooker signed a deal with Eurosport to beam snooker into 51 different territories, with a reach of 95 million homes across Europe, North Africa and the Middle East. Viewing figures are particularly high in countries such as Germany, Belgium and Holland. In the Far East, the snooker boom is developing at pace. The China Open staged in Beijing in 2005 was enthusiastically received by Chinese fans. A stagering 110 million people watched live on television as Ding Junhui beat Stephen Hendry in the final to elevate himself to the status of national hero. The WPBSA also deals specifically with the rules and regulations of snooker as well as disciplinary matters. 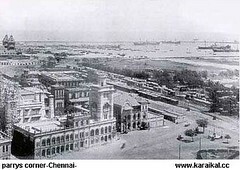 Central Railway station 1925, originally uploaded by Jeevan_. It was on August 22, 1639 in that year, that a sliver of land, where the Fort. 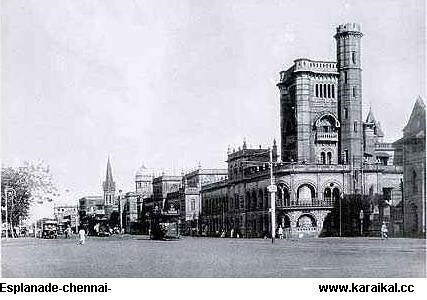 St. George and the secretariat now exist in Madras - now called Chennai, was sold to the East India Company, and neighboring villages ultimately becoming the oldest Municipality of India in 1668. Francis Day, his ‘dubash’ Beri Thimmappa, and their superior, Andrew Cogan, with the local Nayaks, struck the deal. It is believed that this deal was made on this day and these three men are considered to be the founders of this city. Chennaipattinam was a popular trading center for spices and clothes for more than 2000 years. Portuguese and Dutch arrived in the 16th century followed by the British and French. In 1639 the British East India Company established a settlement in the fishing village of Madraspattnam that they leased from the local Nayaks. The city grew into modern day Madras City merging all neighboring areas. In the 19th century the city became the seat of Madras Presidency, the southern division of British Imperial India. 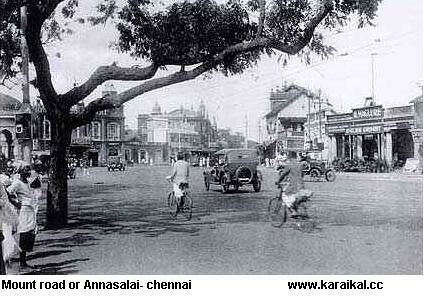 After independence in 1947 it became the capital of Madras State that was renamed Tamil Nadu. Very recently Madras was renamed Chennai. Chennai is the forth-largest city in India. 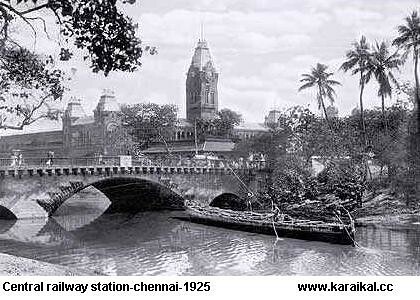 Known world wide as Madras until recently, the city was renamed Chennai, evolved from the age-old name, Chennapattinam. The city has been witness to many firsts in India and been home to great men, institutions and developments. And such a day should focus on the city, its history, its past and its present. The celebrations of Madras Day in 2004, which marked the 365th year. Gandhi Mandapam - a memorial to the father of the nation, is opened at Guindy. The spot is immediately recognizable by the temple gopuram styling of its portals. The southern regional office of Life Insurance Corporation (LIC) opens. This is Chennai's first high-rise building. With its clean lines in concrete, steel and glass, LIC is one of the most recognizable landmarks in the city. Anna Flyover (originally called Gemini Flyover, after the film studio, off its southern end) opens to traffic. This is the city's first Flyover. A fire guts the magnificent Indo-Saracenic structure of Spencers on Mount Road. The building was pulled down after the fire, to make way for the modern structure, from where the supermarket still operates. Madras is rechristened Chennai. While Madraspatnam was the English settlement near Fort St George, Chennapatnam was essentially a Telugu settlement near the Fort. The Tidal Park at Taramani is opened to Information Technology enterprises. This Software Park gives Chennai its very own cyber corridor. 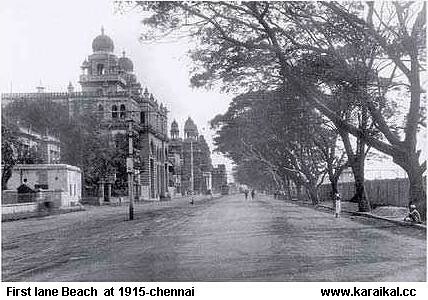 Esplanade - 1910, originally uploaded by Jeevan_. First Lane Beach - 1915, originally uploaded by Jeevan_. 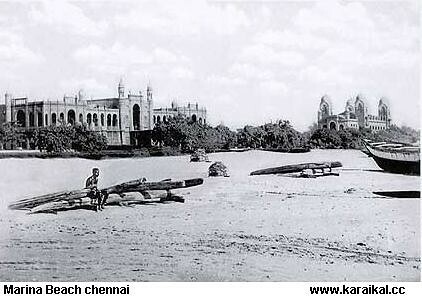 Marina beach Madars 1890, originally uploaded by Jeevan_. 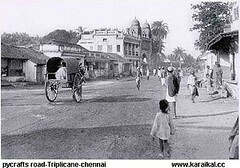 Mount rd or Annasalai in 1905, originally uploaded by Jeevan_. 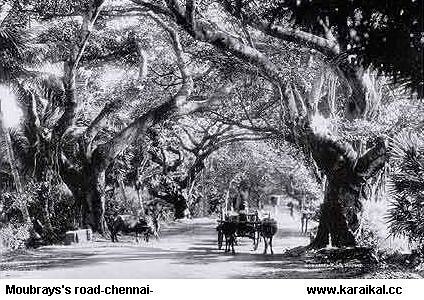 Mowbary's road 1885, originally uploaded by Jeevan_. 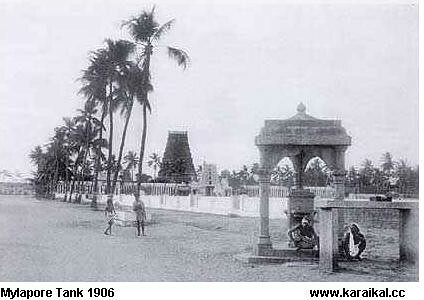 Mylapore Tanke near kabaliswarar koil, originally uploaded by Jeevan_. Joshna creates a record in the 48 years history of Indian Squash by becoming the youngest National Championship (Women’s) at 14 years of age. Joshna led The Indian Women’s Squash Team to a Silver Medal for the first time ever in 11th Asian Senior Squash Championship, May 2002 – Malaysia. Joshna created history by being the first Indian girl to win the British Squash Championship title 2003, at Sheffield, U.K. and also winning the The Asian Junior Women Squash Championship at Islamabad, Pakistan on 6th Feb 2003. Making history has been a way of life with Joshna. She earlier in the year 2000 created history in the Indian sports, by winning the senior national squash title, at the age of 14 years. Joshna loss in Final World Junior Championships on July 21-26, 2005. Joshna currently ranked 60 in International Squash. Joshna is looking ahead to breaking into the top 20 ranking. The Union Health and Family Welfare ministry has decided to nominate her have `Goodwill Ambassador ' for the year on 2005-2006. However, one thing is clear, unanimously, that a talent like Joshna has not been seen in Indian women’s squash for some time now. Rajnikanth, originally uploaded by Jeevan_. After the success of Chandramuke Superstar Rajnikanth has announced his New Film. After a long time superstar is going to act under his favorite AVM’s banner, this is the 9th movie for him to act under AVM Production. The film will direct by my favorite and Hi-tech Filmmaker Shanker, this movie will also be Shankers 9th movie. It will bring Rajnikanth and Shanker together. Superstar hops the Nine would prove lucky for both of them. It will be Superstar’s 154th film. This will be AVM’s 168th film in its 60th year. There was been a suspense, what would be the superstars next movie. Now he had cleared it. There is a great excitement of the Movie Name, who will be the Heroine, Music director ect… I thing the movie will become blockbuster. Raksha Bandhan is primarily a North Indian festival kindling the deepest emotions of love and affection amongst the siblings. 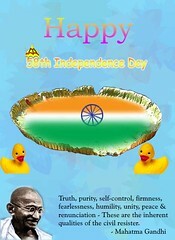 Just like all Indian festivals, this is also celebrated with lots of verve. The sisters tie that thread of love to their brothers amongst chanting of mantras, put roli and rice on his forehead and pray for his well being. She bestows him with gifts and blessings. The brother also wishes her a good life and pledges to take care of her. He gives her a return gift. The gift is the physical acceptance of her love, reminder of their togetherness and a symbol of his pledge. It is celebrated in different ways for different reasons almost throughout the country. During the medieval era, Rajputs were fighting Muslim invasions. Rakhi at that time meant a spiritual binding and protection of sisters was foremost. A famous incident relates how rakhi by then had broken the religious barriers. Rahul Sharad Dravid is an Indian cricketer, a member of the Indian cricket team since 1996. Currently he is the top-ranked Test batsman in world cricket and the captain of India. Dravid born on January 11, 1973 in Indore Madhya Pradesh (current age is 32). A right-handed batsman in the classical mould, Dravid produces elegant, technically correct strokes, seldom going through the air, and accumulates runs at a steady, moderate pace. He is a throwback to the batsmen of an earlier era who value correctness over flair. He has been nicknamed "The Wall" by the media due to the solidity of his batting.He is also a occasional wicketkeeper ,his bowiling style is Raight-arm offbreak He has scored 20 centuries in Test cricket at a phenomenal average of 57.86, including 5 double centuries, whilst in one-dayers he has an average of 40.06 at an acceptable strike rate of 69. He is one of those few batsmen who average more at away matches than at home, averaging about 10 more runs a match abroad than on Indian pitches. Dravid's only Test wicket was that of Ridley Jacobs in the fourth Test against the West Indies during the 2001-02 series. 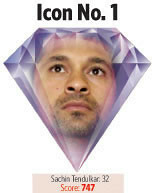 He is backbone of Indian cricket team. Dravid's golden phase began, arguably, in Kolkata 2001, with a supporting act, when he made 180 to supplement VVS Laxman's classic effort of 281 against Australia. Dravid was already in the pantheon of great Indian batsmen, alongside Tendulkar and Sunil Gavaskar.Current runs in Test: 7696 & ODIs: 8319. The same toughness will go into his new innings as captain of the Indian team. Narain Karthikeyan, the First Indian Formula 1 Driver from coimbatote Tamilnadu. Born on January 14th 1977, he studied Business Administration, UK & Elf Winfield Racing School, France. He became the first Indian to win the British Formula Ford Winter Series, one of his many first. 1996 saw him win the Formula Asia championship with a host of records and first in his kitty. He was the only Asian and also the only Indian to win Formula Asia International series. 2001 was a watershed year for Narain. He got behind the wheels of a Jaguar R1 car on June 14, thus becoming the first Indian to test a Formula One car. Finished fourth in the championship series with 5 podium finishes, having competed with 22 best drivers in the world representing 11 nations, some of them Ex-Formula 1 drivers and current Formula 1 test drivers. Creates history in the annals of Indian motor sports by becoming the first Indian to drive in F1 World Championship. Presently drives for Jordan F1 Grand Prix Team. Now here’s a daring rookie with a motto dare to dream emblazoned across his yellow machine. His aim is to win the F1 Race. Anju Bobby George is an Indian athlete. Anju Bobby George made history when she won the bronze medal in Long Jump at the World Championships in Athletics in Paris. With this achievement, she became the first Indian athlete ever to win a medal in a World Championships in Athletics clearing 6.70 m.Though she tried her best, but missed the medal in Athens Olympic. However Anju has the fire in her belly to leap to glory. Anju was born on April 19, 1977, in Changanasseri, Kerala. She was initiated into athletics by her father and her interest was further developed by her trainer Mr. Thomas in Koruthode school. In the School Athletic meet in 1991-92, she won the 100 m hurdles and relay and stood second in long jump and high jump events, thus becoming the women's champion. Anju's talent was noticed in the national schools games where she won third place in 100 m hurdles and 4x100 m relay. She was the Calicut University Champion in her college days. Anju was now moving one place up and be world No. 5, which means "confirmation" to take part in major world tournaments would not be a problem. Today is an important day for Indian people, is Independence Day and another important day is Internet Day, because today our Internet celebrate its 10 birthday in Indian. VSNL (Videsh Sanchar Nigam Limited) introduced the Internet in India on August 15, 1995, through dial-up and leased line access. With out the Internet we cant blog, chat, E-mails ect… So we thanks for Internet. 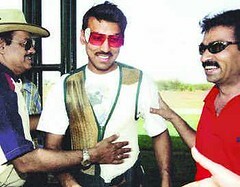 Shooter Rajyavardhan Singh Rathore reached the final of the men's double-trap shooting event at the 28th Olympic Games in Athens. He is the only Indian to take our Indian flag to Olympic. He enters the Global shooting in 2000. His next plan is Beijing Olympic. He is a role model for Indian sports man. Besides the Olympics silver, the 34-year-old officer of the Army has won ISSF World Cup gold medal in Sydney and three gold medals at the first Afro-Asian Games held in Hyderabad last year. He has also won the Asian Clay Shooting Championship held at Bangkok and Masters Cup Shooting Championship in Czech Republic last month. He entered the Olympics by winning the bronze at the World Championship in Delhi. The officer hails from an army family in Rajasthan and graduated from National Defence Academy. After ruling the chess world for nearly 20 years now, Viswanathan Anand is rightly regarded as one of the greats of the 64-squares game. Viswanathan Anand who turned 35 in December 2004, has throughout his career, for almost 20 years now, been way ahead of his times and peers. One of the best known non-Russian and Asian chess players, Anand has often been given sobriquets like “Lightning Kid” and "Vishy, the Tiger from Madras". Born on December 11, 1969, he picked his early lessons in chess, at the age of six from his mother, Susila Viswanathan. By 14 he was the “Boy Wonder” in Indian chess and his assets, lightning speed, ability to see and read the game far ahead besides on-board intuition saw him emerge as the Youngest Indian National Champion at age of 16. In 1987 he became the First Asian to win the World Junior Championship at Baguio City in the Philippines. The same year he became the first Indian to earn the coveted Grandmaster title. Into 2005, the feelings and euphoria of 2004 continued as Anand was adjudged winner of the Chess Oscar for 2004, the results of which became known only in 2005. Anand finished way ahead of his arch-rival Garry Kasparov for the second straight year. It was Anand’s fourth Chess Oscar and he is the first non-Russian to win it four times. Anand has received many awards. Sachin Tendulkar’s date with destiny began on a cold November morning in Karachi when as a 16 years and 205 days old teenager, he was given his first Test cap against Pakistan. Trust onto the centrestage his mettle would be tested against the fire and ferocity of the Pakistan fast bowlers empowered by the pace trio Imran Khan, Wasim Akram and Waqar Younis and the leg spin wizard,Abdul Qadir. India’s score card 4 for 41 when Sachin walked out into the middle on the second day of the first Test. Unless the youngster performed, defeat was unavoidable. If he did, he would be a hero. Sachin showed a remarkable passion for cricket at an early age and by 10, was batting with a cricket cat far bigger than him. Like most other Indian children from a middle class background his initial cricket sessions were spent on the road playing in the bylance of Bandra, near his residents, where cricket is community passion. In the huge Shivaji Park, coaching classes for youngsters were held every summer. Tendulkar took part in these camps under the tutelage of his coach Ramakant Achrekar, whome he calls on even today before every match. The Third son of four sibling, 3 brothers and a sister, Sachin Ramesh Tendulkar was born on April 24, 1973 to Ramesh and Rajini Tendulkar. His father is a Marathi poet and writer, his mother worked for the LIC. Ajit the second brother, is credited with the promotion of the younger Tendulkar into the Cricket field and Sachin still turns to him for advice or cricket strategy since he feels nobody knows his game better than Ajit. Sachin grew up in Sahitya Sahawas Colony in Bandra. He was also a great fan of Tennis. Sachin hit his first test century (119) in the summer of 1990 against the England team at Old Trafford leading India to victory at a crucial movement when it was chasing a total of 408. At 17 Sachin became the third youngest player to score a test hundred and went on to brave the fierce desert storm at Sharjah and the fiercer Australia bowling to lead India to the final of the Sharjah Cup. Then on his 25th Birthday, India met Australia in the final of the Coca Cola Cup to chase 27 runs. Sachin was unstoppable. He notched up 134 runs and India was home. No wouder this little man is compared to the great Dan Bradman, the world’s greater cricketer. He become the highest run taker in One Day International history in a match against New Zealand at Nairobi on October 15, 2000 by surpassing the previous record of 9378 runs. On September 5, 2002, Sachin appeared in his 100th test match at The Oval, England, making him the forth Indian to reach the prestigious milestone. He is a Right hand batsman, his latest ODI runs is13,642 and test runs is10,134. Today he enjoys a super star status in India. What keeps your feet on the ground? My family for sure. Without my family’s support, I wouldn’t have been able to achieve what I have. My wife, brother and everyone at home, if they find any change in me they notice it before anyone else. They tell me to focus on what will happen next rather than what you have achieved. Who was the real Mangal Pandey? Was he a real hero, or just one of the grumblers who got charged up after consuming bhang and spoiled a real conspiracy? Did his action have anything to do with the real revolt of 1857? Historians, both British and Indian, had largely ignored Mangal Pandey’s revolt. Till V.D. Savarkar, who is credited with describing the revolt as a war of Independence (for record’s sake, the first to describe it so was James Outram), discovered him. Savarkar made him a hero in his book. Rudrangshu Mukherjee, who has done extensive research on the 1857 revolt, and recently authored the book Mangal Pandey: Brave Martyr or Accidental Hero, seems to think that Pandey was no hero. The cartridge (allegedly greased with pork or beef fat) issue had caused much resentment among both Hindu and Muslim troops who suspected that the British were conspiring to break their caste and religion. The troopers of 5th Company, 24th Regiment, Native Infantry, also were agitated about it and probably discussed some action in the night. But on the afternoon of March 29, 1857, Sepoy Mangal Pandey appeared with a loaded musket in front of the quarterguard and shouted expletives at his comrades for not joining him. He was, apparently, under the influence of bhang (he admitted to it in the court-martial presided over by Subedar-Major H.L. Tewary with 14 other Indian subedars and jamedars who sentenced him to death for mutiny). The naik who reported the matter to Sergeant-Major Hewson did mention that Pandey was under the influence of bhang. Hewson ordered a jamedar to seize him; he refused. Pandey fired at Hewson, but missed him. A few sepoys tried to persuade Pandey to surrender; but he refused. Pandey then shot at Lt. Baugh; the bullet only hit his horse. Baugh approached Pandey on foot and they struck each other with their talwars. Hewson tried to help Baugh, but someone knocked him from behind. Finally Major-General John Hear-sey threatened the other jamedars. As some of them approached, Pandey shot himself. The bullet made a deep graze on the chest, shoulder and neck. Pandey was seized and taken to hospital. This was all the action that took place in Barrackpore. Many similar mutinies over other issues had taken place in the company army earlier. Pandey’s action took place in Barrackpore. There is no evidence that the real mutineers, who broke out from Meerut, marched to Delhi and gallantly challenged the British by declaring Bahadur Shah Zafar as their emperor, had even heard of Mangal Pandey, let alone be inspired by him. During trial, Pandey made no defence. Yes, I have been taking bhang and opium of late, but formerly never touched any drugs, he had said. I was not aware at the time of what I was doing. Film-maker Ketan Mehta strongly believes in his weltanschaung. Had it not been so, he would not have approached Aamir Khan with a script when the latter was in Los Angeles promoting Lagaan for the 2002 Oscars. Ketan knew well that Aamir was a man who stood by his convictions. "A revolutionary and a rebel in his own way," said Ketan. Like Mangal Pandey. Mangal Pandey: The Rising, which is scheduled to release on August 12, is a dream Ketan has nursed for 17 years. The journey was not an easy one. Ketan’s script went through a long gestation period. It was only when producer Bobby Bedi came into the picture about four years ago that things started rolling, albeit gradually. After Aamir accepted the role of Mangal Pandey, Ketan could finally see his dream taking shape. He wanted to work only with the most talented cast and crew. His casts—including Toby Stephens, Rani Mukherjee and Amisha Patel—whom he handpicked were closely scrutinized to make sure they fit the bill. Stephens, widely acclaimed for his role in the Bond flick Die Another Day, had to undergo a series of screen tests to bag the role. I have realised that actors are very greedy people, said Ketan. You give them a challenge and they like to grab it. For the character of the courtesan Hira, who plays the conscience of the film, and—to a large extent—of the country in that period, Ketan zeroed in on Rani. Amisha plays Jwala, a widow. He entrusted the job of composing the music and the background score to A.R. Rehman. Javed Akhtar, whom the director hails as one of the greatest poets of our time", was brought in to write the lyrics. Ketan is convinced that there is "not a single false note in the performance of any character. 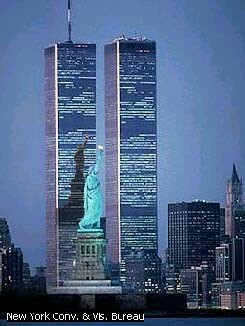 Twin Towers, originally uploaded by Jeevan_. The French Lady the Statue of Liberty’s, shadow falls on Twin Towers (World Trade Center). This Friendship Day, remember to tell your friends how special you think they are. Friends are the elixir of life that makes our world go round, brightening our lives and bringing a sparkle to our eyes. Friendship is an absolutely unique relationship, strengthening with the passage of time and withstanding all the tests of time. Celebrated the world over on the first sunday of August, the origin of Friendship Day is unclear. The U.S Congress sanctioned National Friendship Day in 1935 as a special day to honour and celebrate friendships. In 1997, the U.N named Winnie the Pooh as the world's Friendship Ambassador. Psychologists say that true friendships are not need based, they continue and thrive even when there is no need. They further add that friendships are great stress busters, time spent with friends reduces stress, uplifts the mood, banishes the blues by pepping up our lives. Not only do friends awaken the best within us, they also arouse our sense of friendliness-a friend's friend is a friend. In the olden days there were quaint customs and symbols associated with friendship. Salt a natural preservative was made a symbol of lasting friendship as well as of immortality. Arabs to this day place salt in front of a stranger to assure him of their goodwill. Friendly knights raised their visors to each other and the removal of a helmet indicated friendship and utter trust in a hostile world. Did you know that the herb parsley's (supposed to relieve indigestion and counteract poison ) presence in food assured guests of their hosts' friendship and good intentions? Friendship is a lifelong process. This Friendship Day, let your old friends know that you haven't forgotten them and tell your new friends that you never will. Have a Happy Friendship Day. On August 6, 1945, a single American aircraft dropped an atom bomb on Hiroshima. It should stop in Japan it should not continue. I can’t imagine like this type of attacks. Coming years should be a good years for all people in global. We can pray for those innocent persons. The President, A. P. J. Abdul Kalam, on Friday did what he is best at doing -- ignite the young minds with his searching questions and extracting exacting answers and promises, of course. Addressing students, Dr. Kalam stressed the importance of vision for development of a nation and quizzed them with rapid fire round on the contribution of Newton, Sir C. V. Raman, Chandrasekhar Subramaniam, Mother Teresa, Einstein, Vikram Sarabhai and Homi Bhabha. They all had vision. If Vikram Sarabhai did not have a vision, India would not have been able to develop its own satellite and the launch vehicles, he said while impressing upon children to develop a vision. He made them repeat, We children generate vision. We will become great and the nation will become great and asked them to their vision to his website www.presidentofindia.nic.in. Dr. Kalam said if India is to achieve the goals set for 2020, it should aim at doubling the GDP growth rate. It should concentrate on five key areas -- agriculture and food processing, education, information and communication technology, networking of rivers and attaining self-reliance in critical technologies. He did not miss out his familiar Provision of Urban infrastructure in Rural Areas (PURA). One such project of PURA is under implementation in Bhimavaram in Andhra Pradesh. He administered an oath to them saying they would not support any religious, caste or language differentiation; that they would be honest and strive for a corruption-free society. Fielding questions from students, he said his science teacher, Sivasubramanya Iyer, was his role model. The roles of a scientist and the President were complementary and it was after his long tenure as scientist that he opted for the latter post. Now I am marketing my PURA vision to the Government and Parliament. In the season of peace, the last thing that the Army wanted was the blood of innocents on its hands. But three days after it shot dead a boy in Pulwama in a case of mistaken identity, the Army killed three teenagers at Bangargund in Kupwara on July 25. Bilal Ahmed Sheikh, Wasim Ahmed Wani and Shabir Ahmed Shah had ventured out at night during a marriage ceremony. They had left the house of the groom, Muhammad Jamal Sheikh, to light a cigarette and join the festivities at the bride’s house in the same village at 1.30 a.m. along with two others when the troops opened fire. Manzoor Ahmed Sheikh, the groom’s brother, was wounded but his friend Shafi Ahmed escaped unhurt. We told the soldiers that we were going to Zubera’s house, but they opened fire. I ran away amid a hail of gunfire and explosions, said Shafi. The soldiers guarded the bodies until 7.45 a.m., when the police took over and sent them for postmortem examination. By then, the news had spread and tension risen. A mob burnt scores of sewing machines in a welfare centre built by the Army. Barbed wires, barricades and signboards of the Army were the next target. The incident brought back memories of the 1990s when Kashmir boiled over civilian killings by the Army. The Army called the incident unfortunate and regrettable. It offered Rs 3 lakh to the families of the dead boys and Rs 2 lakh to the injured. We have ordered a court of inquiry and will make changes in our ambush procedures. This is not a revenge killing as some elements have said, said 15 Corps Commander Lt-Gen. S.S. Dhillon. This is a militant-infested area and only a few days ago we lost a soldier and a major after they hesitated to open fire against militants for fear of killing civilians. But alienation of people from security forces can only be to the advantage of militants. It is not only in KASHMIR, it continues in LONDON. SCOTLAND YARD was forced to admit that a man shot five times from close range by police officers was not connected to Thursday London terror attacks. The Jean Charles de Menezes, a 27-year-old electrician from Brazil who had been working legally in Britain for three years. It is believed he lived with relatives in Brixton, south London. Witnesses to the killing of Menezes described how he was chased into Stockwell Tube station on Friday morning by armed plainclothes officers and killed with shots to the head while lying on the floor of a train. The officers are thought to have feared that Menezes, who was wearing a quilted jacket on a summer’s day, might have been concealing a bomb. No explosives were found on him. Within hours of the shooting, however, senior officers were saying they were very confident the man had been one of the four bombers who attempted to set off explosives in London on Thursday. Then, as it emerged that the Brazilian was not one of the four, officers suggested he was still linked to the bombings. Sir Ian Blair, the Metropolitan police commissioner, said the shooting was directly linked to anti-terror operations. Even, hours before Menezes’s identity was confirmed, security sources said police had known him from a recent counter-terrorist investigation. It now appears to be a case of mistaken identity. The body of the electrician, originally from a town north of Rio de Janeiro, was identified by his cousin in Britain, Alex Alves Pereira. A statement by police earlier in the day had said: We are now satisfied that he was not connected with the incidents of Thursday, July 21, 2005. For somebody to lose their life in such circumstances is a tragedy and one that the Metropolitan police service regrets. The Brazilian government said it was shocked and perplexed at the killing and expected a full explanation. Menezes was followed by officers on Friday morning after leaving a block of flats that had been under surveillance in Tulse Hill, south London. The officers were under the control of Gold Command, Scotland Yard’s major incident centre. Originally, police had said the man walked from a property in Stockwell to the local Tube station. But later the statement was changed to say he had been under surveillance during a three-mile bus journey from his home to the station. They picked him up hoping that he would take them to other people. But as soon as he was seen going towards the Tube they had to take action, a police source said. The armed officers intervened as Menezes entered Stockwell station. Witnesses there say he bolted, leaping over the ticket barrier and running down the escalator, pursued by the plainclothes officers. Whit by said Menezes tripped or was pushed to the floor. One of the police officers was holding a black automatic pistol in his left hand. They held it down to him and unloaded five shots into him. It is not clear why Menezes, who was described as light-skinned, ran from the officers. Gesio de Avila, a friend, last night told how Menezes had been planning to buy a motorbike because of all the disruption to public transport. He added that he did not believe understanding police instructions would have been a problem for Menezes. He had good English, better than mine, said Avila. The police stopped him sometimes, because he used the Underground every day, and asked him some things, and every time they would tell him ‘thank you’, and ‘sorry for stopping you’. The Independent Police Complaints Commission confirmed it will launch an investigation into the death. The police said an inquest would be opened and adjourned. If its continues many innocents will be kill. The Nilgiri Mountain Railway, a World Heritage Site. Early this month, during the 29th session of the World Heritage Committee meeting at Durban, the Nilgiri Mountain Railway(NMR) was declared a World Heritage Site. A historic moment not only for the NMR, but for the residents of the Nilgiris and for all those who have travelled on this train. The Darjeeling Himalayan Railway (DHR) was inscribed in 1999. Jointly, these two sites have been designated as "Mountain Railways of India". The Nilgiri Mountain Railway connects Mettupalayam in the foothills to Ooty — as Udhagamandalam was called. A railway to connect the beautiful hill stations of Coonoor and Ooty, to the plains became necessary. The idea was mooted in 1854, but work on this dream project could begin only in 1891 and was completed in 1908. A Swiss inventor named Riggenback offered to construct the Nilgiri railway on his patented Rigi pattern. But his conditions could not be met and his proposal fell through. However, in 1882 he came to the Nilgiris on the invitation of the Government and submitted a detailed estimate for laying the line. A local company called "The Nilgiri Rigi Railway Co. Ltd." was formed. But it was 1886 before work finally commenced on the Rigi-system in metre gauge. Coonoor was the destination until 1899 and then the tracks were extended to Fernhill in 1908 and finally to Ooty a month later. The Madras Railway Company managed the railway line for the government. And as the train goes up hill and down valley, through tea estates and tunnels you get to see Nature at its best. The stations with their quaint names Runnymede, Hill Grove, Adderly, Lovedale... are picturesque. The stations are relics of the Raj. From Mettupalayam to Kallar, the ride is practically on a level, but as soon as you leave Kallar the climb begins. The line is a metre gauge and the train uses the rack and pinion system to climb the incline. This train is still fuelled by a steam engine. Finally, ensure you get a window seat, so you don't miss out on anything. This rail system is unique because it uses the Alternate Biting System (ABT) or the rack and pinion system. A special toothed-rack rail is mounted on the sleepers between the running rails. The train is fitted with cog wheels, that mesh with the rack rail. From Coonoor to Udhagamanadalam, it runs on a non-rack system. Normally when we travel by train we see the engine in the front. But in the NMR don't be surprised to see the engine at the tail end when climbing. This is because it has to push the train up. And while descending the engine is in front making sure that the train comes down gradually. The maximum speed of the train is 33-km per hour. It traverses 16 tunnels, 26 bridges, with one big viaduct over the Bhavani. These are indeed feats of engineering, as they merge with Nature — never incongruous, never unattractive. Worm infestation is a common problem in vegetable and fruit cultivation. On early detection, a light spray of malathion (2ml dissolved in one litre of water) and for advanced stages of infestation, metasystax (2ml dissolved in one litre of water) may be done to prevent the infestation. According to the 'State of the Blogsphere' statistics released by Technorati, around 80,000 new blogs are created daily - at least one every second. Of the 14.2m blogs tracked, 55% are considered active (a posting in the last 3 months) and 13% are updated at least weekly. 1967: Becomes Second Deputy Prime Minister. Arab sentiment against U.S. support for Israel during Six-Day War spills over into criticism of ruling family. 1970s: Oil boom – as home to world’s greatest oil reserves petro-dollars flood in. Future king amasses personal fortune estimated at $18 billion. 1973-1974: Oil embargo against nations that support Israel during Arab-Israeli War triggers crisis in U.S.-Saudi relations. Mar 1975: Becomes Crown Prince when his brother Khalid Bin Abdul Aziz is proclaimed King. 1979: Revolution in Iran leads to fears of Islamic upheaval spreading to Saudi Arabia. King Fahd supports Baghdad in Iraq’s war with Iran. 1990: Iraq invades neighbouring Kuwait. King Fahd invites U.S.-led forces temporarily onto Saudi soil. 1995: King Fahd suffers a stroke cedes much of his power to his half-brother, Crown Princes Abdullah. 2003: Saudi government refuses to participate in U.S.-led invasion of Iraq. U.S. finally pulls troops out of Kingdom. August 1, 2005: King Fahd dies. Crown Prince Abdullah succeeds as monarch. Apparently, animals can enjoy Carnatic music, and they are appreciative, too. Residents of Kashimadom in Ambalamedu, Erakualm, give the 20 cows in the ashram a daily dose of Carnatic music and Marathi bajans through loudspeakers in the cowshed. The result: an abundant milk supply. They came, they saw and they married. Americans Adriane and Eskala, who fell in love six months ago while touring Shimla, came all the way from the US to the hill resort to wed in the desi Hindu style. Reason: Hindu wedding fascinate them. The couple exchanged vows at a heritage hotel, where they had a priest translate the Sanskrit couplets to them. The staff played witness to this karmic union. Mahouts in the Cochin Devaswom Board could soon be seen scampering up coconut palms. Aspiring mahouts has a demonstrate their skill in climbing the palms in the recruitment test conducted by the board recently in Thrissur. The reason: this way, they need not depend on anyone to get coconut fronds for their pachyderms to munch on. What’s a man to do when he has too much work and too little leisure? Kuldeep Singh, 21, a peon, thought he would fake his own kidnapping. He had the smarts to trick the police, but not enough for his dad. His father recognized Singh’s voice when he called home demanding Singh was soon back home.